Soil can be an ideal surface on which to build, but only if it is compacted. Buildings, roads and other construction projects need the soil to be stable, and compacted soil is more stable. Compacted soil is more resistant to water infiltration, erosion and being carried away by the wind. 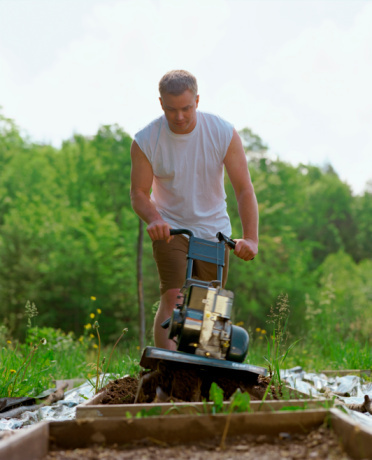 By using large vibrators or heavy rollers, soil can be compacted to create an ideal construction surface. A compacted soil is better for construction projects. Compacting soil is a way of increasing its density. Soil is made up of solids, gases and water. Reducing the amount of gas in soil by forcing the solid materials together compacts the soil. Reducing the pore spaces of soil leaves less space in it for air and water. Reducing the amount of water in soil makes the soil particles less lubricated. Wet, un-compacted soil is very difficult to build on. Driving over the same spot of soil will eventually compact it to the point where no plants can grow there. Plant roots break apart the soil and naturally make it less stable for roads. Compacted soil will be harder to wet and will require a lot of water to destabilize. 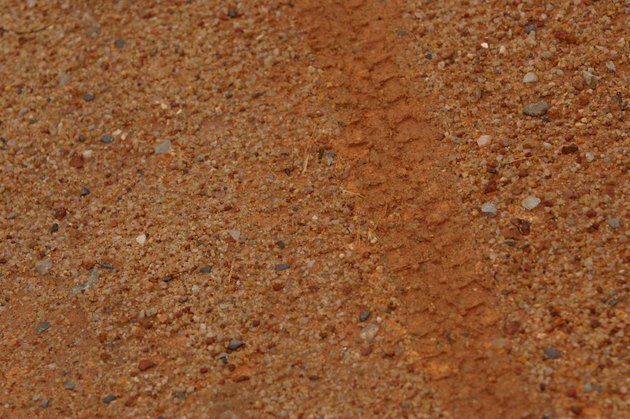 Gravel roads benefit from soil compaction because the firmer soil provides a stable base on which to rest the small stones. A compacted road for concrete or black top roads makes the road last longer. Compacting for building a highway helps to make the shape of the road so that it sheds water. Most buildings are built right on the soil rather than having footings going all the way down to bedrock, as with skyscrapers. If the soil is not compacted enough, the house will not last as long and can encounter many problems. The soil must be dense enough to support the weight of the structure. If the soil is not compacted enough it can collapse. The foundations for buildings are often built only after the less compacted surface layer of soil has been removed and the soil mechanically compressed. Golf courses, baseball parks and lawns all benefit from a certain amount of soil compaction. Compacting soil where grass is grown makes it more level and aesthetically pleasing. Soils for golf courses are carefully rolled so that putting greens and other areas are in the right condition for play. Without some soil compaction, lawns and playing fields could not be as useful nor as beautiful.